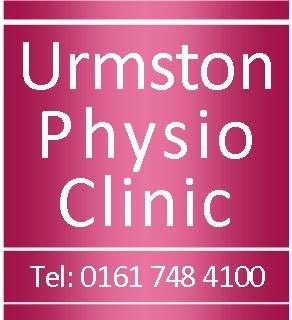 This web site is provided by Urmston Physio Clinic. 1. By accessing this website and its content you are agreeing to accept these terms and conditions. 2. The content and design of this website remain the intellectual property of Urmston Physio Clinic. You may only copy and reproduce the content of this site for your personal, non commercial use. 3. Third party sites accessed using links from this website are done entirely at the risk of the user. 4. This website is for information and educational use only. It is not to be used for the purpose of medical diagnosis or treatment and is not a substitute for a medical diagnosis or treatment by your GP, consultant, physician or other competent healthcare professional. Information contained in this site should not be considered complete or exhaustive and should not be used for the purpose of diagnosis or treatment. Always consult your physician if you think you need treatment for one of the conditions described on this website. Use of the information contained in this website in no way implies a doctor – patient relationship has been established between the authors of this site and you. 5. The content of this website is provided without any conditions, warranties or other terms of any kind. 6. These terms and Conditions will be governed by English law.